There aren’t two ways around it, you’re going to encounter stress when you’re searching for a home. But it’s not just you; everyone experiences it. And why wouldn’t you? This is one of the most significant investments you’ll make in life. I know acknowledging this will make you nervous, but there isn’t any use in denying this while searching for your next living space. But no matter the stress you face, there are ways you can deal with it, and that’s what we’re here for today. I realize we have brought this up in a lot of our past blogposts, but the best way to drive stress away when doing anything real-estate related is to hire an agent. They know the inner workings of the industry and can assist you in navigating the market as you figure out which house will work best for you and what you can afford. Any pressing questions you have, they can answer, or will get back to you as soon as they can if they need to look for the answer elsewhere. Agents are here to help you carry the work as you house hunt, and they will be there with you from the start of your search to the time you sign those closing documents. Just like with college essays and projects, the best thing you can do to keep stress at bay is start your search. You probably have a date set for when you want to move, so don’t waste any time. Every minute is essential, and with buying a home being a very important purchase, you can’t afford to wait until the last minute and possibly choosing the wrong house in your haste to grab a property. You don’t want to procrastinate and then find the best homes have been snatched up. It’s best to start early so you can analyze all of your options in order to make an informed decision. Time is fleeting, so don’t let it get away! As you begin your search, you should know what you want in your home. Although you don’t know which house you will end up buying, you do know what you want it to include. How many bathrooms and bedrooms do you want? Would you like a house with a pool? A two-car garage? A patio? Central air conditioning, or wall units? If you’re looking at homes without knowing what you want, you might as well conduct your search while blindfolded. Looking at homes without knowing exactly what you want may not be the best use of your time. Here’s a word everyone wants out of their vocabulary: paperwork. Yes, we all would live more peacefully without it, but it’s a necessary evil when it comes to real estate. I’m not trying to alarm you in saying there’s going to be a lot of reading and signing of real estate documents, but to let you know this is something of which you NEED to keep track. With everything that goes into buying a house, such as getting pre-approved for a mortgage, obtaining an insurance plan, and putting in an offer, you can bet there will be paperwork to go with it. You should keep everything together in your home so if you ever need to reference back to a certain document, you’ll know where to find it. Before you start the procession of purchasing a house, it will benefit you to get pre-approved for a mortgage. You can imagining how frustrating it will be if you find a property you’re interested in, only to find out you won’t be given any financing. It would be in your best interest to get all of the financial aspects in order from the beginning because agents and sellers only want to deal with buyers who have been pre-approved, obviously. What you should do is improve your credit score and get all of your bills paid on time. Doing these things will make you look ready in the eyes of the banks, and having your bank statements and current income records with you will assist lenders in determining your eligibility for a mortgage. Remember what I said not too far back about paperwork? This is why you need it. As you house hunt, you have to be prepared to fit open houses and private showings into your schedule. I realize you’re busy with work, but going to as many open houses as you can is essential in seeing which houses will meet your needs. If possible, it will be best to see a few houses within a few days. That way, you won’t have an extended period of time between showings, and you won’t be straining to remember what you liked and didn’t like about a house. This will allow you to make easy and thorough comparisons of the homes. Despite having more time over the weekend to attend an open house, it may benefit you to visit a home on a weekday because there’s the possibility of there being less people, which will give you more one-on-one time with the listing agent, and you’ll be able to ask as many questions as you want. When you’re buying a home, you’ll most likely experience the “fear of missing out,” which is a case when someone else may put in an offer on a house you only just viewed, leaving you compelled to put in an offer as well. This happens particularly in seller’s markets, which occur when there are high prices and low inventory. In such a case, your feelings may get ahead of your rational thoughts, influencing you to put in an offer. However, it’s important you don’t do this unless you’re certain this is the house you want. It may feel discouraging to miss out on a home, but it will feel worse to make a quick decision on a house, only to move in and realize this isn’t the house you wanted after all. 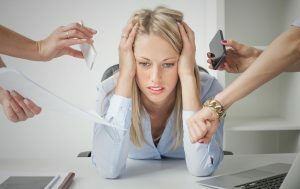 Yes, there is stress that goes into searching for and buying a home, but there are also a lot of ways with which you can combat that stress. Although some unexpected things may come up during the process, you can triumph over it all if you start on time and have a plan and some professionals at the ready. Buying a house is one of the most important things you’ll do, and you shouldn’t let stress get the best of you. At the start of each day, just look at yourself in the mirror and tell yourself it’s all going to work out. Living in the city can be an exhilarating experience. With the diversity of people, entertainment, cuisine, and the unending excitement of urban life, it’s safe to say living in the city is never boring. However, after a while, you may feel the need to slow down and look for a living situation that’s a little more low-key. If that’s the case, you may begin thinking about moving to the suburbs. Although this may be the right solution, it’s a significant transition between two very different lifestyles. But, there isn’t any need to worry because we’re going to offer you some tips on how to handle the move. As you begin your search, don’t look for a house at first; look for a community. If you find a house you like, that’s great, but if it’s in an area you don’t care for, you won’t be able to fully enjoy your new home. You have to look at the whole community to be sure it offers everything you need. Search for an excellent school district; a simple commute; shopping for food, clothes, and other necessities; and most important, affordable housing. Before you begin your search, make a “wish” list of everything you want in a community. Then, as you do your research, check off your requirements as you find them in the communities you research. You’ll also want to experience the ambiance of the community you like. You may experience a bit of a culture shock while doing this, but it’s best to research the community now to avoid any surprises later. Remember, you’ve been surrounded by culture and all types of influences, and you may find the suburbs to be limited. But, if you look close enough, you will find some hidden gems in and around town that will please you. As you walk around, take careful notice of the other residents and see how they interact with each other. The way people act with one another will give you a clear idea of the camaraderie you can expect amongst the townspeople. There’s a good chance that, whichever community you look at, you’ll be checking out the Main Street to see the business scene. Don’t base your decision to move on the downtown area. Even if the town’s Main Street has great stores at which you can see yourself shopping, the street may not have everything your family will need. You’ll probably have to do some shopping in other areas, so get out and visit places outside of town to make sure everything you need isn’t too far away. Your commute to work should also be a primary consideration when thinking about a move to the suburbs. When you live and work in the city, your commute is rather simple because you have easy access to public transportation. In the suburbs, however, you’ll either use your car for the trip, or you’ll have to make your way to the train station and then switch to the tracks. You should check the main roadways throughout your town if you plan to use your car, to make sure there’s a convenient route to work. Or, if you’ll be using public transportation, study the train schedules to make sure they meet your needs. If you have children, take time to visit local schools to see that they offer everything your children require. When checking out schools, don’t just focus on test scores. Yes, they can tell you how well a collective body of students is performing, but it’s not indicative of how much attention your child will receive from teachers. If a class is fairly small, the students will really get to know their teacher, leading to a connection that will help the student perform better in the classroom. If you’re making the move to the suburbs before your children are old enough to start school, make sure to take a look at all grade levels in the school district to see ensure your children will receive a quality education from pre-school to high school. It will take some time to get used to living in the suburbs after being immersed in the vibrancy of city life. Even if you have lived in the suburbs before living in the city, you still may need to do some adjusting. Although going through a major move comes with some difficulties, it will also be fun to explore a new place. The suburbs can offer their own excitement; you just have to know where to look. If you don’t want to move too far from the city, choose a community that will allow you to easily visit the city. That way, you can have a foot in both worlds. Take your time to find a community and house that suits you, and you’ll surely find a place where you’ll be happy. Whether you’re a first-time homebuyer, looking to downsize, or want to save money, you may want to consider purchasing a condo. If you’re looking to live in a home with less maintenance, but still want to have some kind of ownership, a condo is a great option. With that, here are some factors to think about when you start your search. When moving into a condo, you have to remember you may not have as much space as you would in a standard house. There’s also a possibility you won’t have a garage or attic. However, some condos will provide you with storage space, so as you look at different properties, ask the seller or representing real-estate agent if the complex offers residents any space in which to store extra belongings. You don’t want to move with all of your stuff and not have enough room for it, so before you make your final choice, just be sure your most important belongings will fit. If you need to, maybe sell some stuff you don’t use anymore so you have more space in your condo for what you actually need. You’ll also want to see if the walls between units are thick enough that you won’t be bothered by any noise coming from next door. Having lived in a college dorm, I know how annoying it can get to be able to hear any yelling or loud music coming from the resident right next to you or directly across the hall. If you want don’t want to risk losing your sanity as a condo owner, ask the seller or agent if the walls are soundproof. You have to know if your condo has walls that are thick enough to block out any unwanted noise. This way, you’ll have better knowledge of whether or not you’ll be content with your neighbors. It’s also important to choose a condo complex that has a wonderful management team. When you visit each complex, take some time to interview the manager and ask them any questions you may have, and also talk to some of the residents to see if they’re happy with the method in which the day-to-day operations are run. Having competent management is essential in confirming the rules of the complex will be enforced, so as to ensure the residents will live pleasant lifestyles. Think of your management team as the equivalent of an RA (resident advisor) in a college dorm. They are there to make sure the community is being taken care of and that its residents are happy. Speaking of rules and bylaws, you should take a good look at them to make sure they help in offering the kind of living you’re looking for. If you have a pet who will be moving with you, you have to see that the complex allows this for their occupants. You’ll also have to make sure your pet will be happy in a condo environment, such as having enough room to play and run around. If you think you would like to create a little garden on your front lawn, especially with the weather becoming warmer, that’s something you’ll also have to consult the rules and bylaws for as well. In terms of renovating, you don’t always get to decide how you want your condo to appear. If you wish to make any major renovations to your condo, you may have to bring it up with the board or condo association to see if they will approve of your plans, whether they be interior or exterior. If you’re the type of person who likes to make significant changes to your residence every now and then, you may not want to go for a condo. You have to realize living in a condominium complex is a very social environment. Therefore, you have to make sure your neighbors are welcoming, seeing as these are the people with whom you’ll be living in close proximity. You should do this to make sure the community actually provides a sense of community and that you’ll be able to make friends in your development. Don’t just move to a condo because it offers a comfortable home; move there because you know you’ll connect with those you meet. You want to surround yourself with people who you would invite over for parties or game nights, people who will become sort of an extended family. Condos also offer a great sense of convenience. If you’re someone who wants to live close to your workplace and local stores, condos are often built in close distance to them, so you won’t have to spend much time in getting to them. And, if you’re next to your town’s shopping and business districts, you can bet it will never get boring, as there will always be activity and liveliness throughout the town. There are also several amenities a condo may provide, such as a playground, tennis court, and pool. Having these features will help you stay active during your residency at the complex, and will also encourage you to meet other individuals in your complex as you spend time outside. As you look at different complexes, it wouldn’t hurt to ask to see the minutes of the association’s latest board meetings, if available. Doing so will bring you in the loop of any issues that may be experienced within the condo community, such as problematic neighbors, boisterous parties, or trespassing. Having an idea of what goes on in the complex will allow you to sort out the details of the environment and determine if you would like to become a resident in this development, or if you would like to look elsewhere. Although a condo may be easier than a house in terms of maintenance, there are still many important factors you should consider when looking to purchase a condo. The environment of one may be different from others, so take a close look at the lifestyles of each complex and figure out in which one you can picture yourself living. Once you find the condo that’s perfect for you, you can start enjoying everything the development has to offer! In the past, we’ve focused on things you should consider when planning to move. However, when you’re considering a move across the country, there are several other things you have to think about in order to be fully prepared for the transition. Obviously, moving cross-country is a bigger change than moving to the next state over or merely a few towns away. There’s a lot of planning involved and more factors to take into account to make sure everything goes smoothly. Here are some tips to assist you if you’re planning a cross-country move. At the start of the process, you should ask for help from a professional as early as possible because they will be able to tell you exactly what you need to know as you go forward with preparing for your move. “A realtor is a great resource and can provide you with a wealth of information about the price of homes in your area of interest and so much more,” said Yvonne Regan, Relocation Director for Better Homes and Gardens Rand Realty. “Our relocation department and agents at Rand Realty help our customers and clients find a qualified realtor anywhere in the country by utilizing our own broker network. Having a realtor in place before you visit an area is a key stress-reliever and timesaver. He or she can help you preview homes in your budget and put you in touch with other experts, such as mortgage lenders, home inspectors, school and city officials. They are the experts in their respective areas and can provide you with resources to help you in your home search. When you’re planning a move, you have to figure out how you’re going to pack up all of your belongings. The level of difficulty for this task depends on how far away you plan to move. If you’re only moving a few miles away, or maybe even if you’re moving to the next state over, it will be rather easy to rent a moving truck and some movers, pack up your things, and be on your way. When you’re moving cross-country, however, it’s a little harder. The best thing to do is figure out the essentials you will be needing, but can still fit in the car; and then, you can sell everything else. This way, you don’t have to worry about renting a truck and moving crew to help you, which can cost quite a bit of money if you’re going cross-country. Then, when you arrive at your new home, you can purchase new furniture. If you plan on bringing a lot more with you to your new home and end up renting a truck, you’ll be packing a lot of your belongings in boxes. Once you finally know what you’ll be bringing, begin taking inventory of your belongings. Given that there’s a lot going on during a preparation for a cross-country move, there’s a probability that some of your stuff may get misplaced. In order to prevent this, take stock in everything you have with you. That way, when it comes time to pack it all up, you know what you’re supposed to have. After you pack everything away, make sure to label your boxes. That way, when the boxes are taken into your new home, you will know in what rooms they should be placed, and you won’t have to waste time going through each box to know where the contents are supposed to go. You may not have considered this when planning a move, but as you’re doing so, you can expect your calendar to fill up with appointments. Besides going for an appointment with your doctor and/or dentist, there’s the matter of catching up with your friends and family before moving. You don’t want to leave town without saying good-bye to them, so you’ll want to make sure you set aside some time on you calendar for them. I know it’s not like you won’t be seeing them again, but if you’re moving cross-country, you won’t be spending as much time with them, so you should spend time with your friends and family before you make the move. Speaking of appointments, to-do lists are also important to have. There are so many things to keep track of when you’re planning a cross-country move, such as choosing what you’re going to take with you, hiring movers, forwarding mail, and updating business accounts (Updater, a web application Better Homes and Gardens Rand Realty now offers, can assist you with the latter two tasks). I remember to-do lists were a huge help when juggling academics and extracurriculars in college, and one of the great pleasures in life is crossing off tasks you go from day to day. With something as significant as a cross-country move, making a to-do list (or several) is really going to help you in keeping track of what needs to be done. When you consider how much work goes into a move as big as this, it will make this undertaking simpler if you write down all of the tasks that require attention before you get ready to step out the front door and begin your journey to your new destination. You’ll have so much going on during this process, there’s a chance an objective or two may slip your mind, so having a to-do list will help preventing such a risk. Seeing as there’s so much to plan when coordinating a cross-country move, there’s the matter of giving yourself enough time to get all of the preparations done. In order to do this, it’s recommended you provide yourself with at least two months to get everything in order. There’s nothing more anxiety-inducing than waiting until the last minute to begin work on a time-consuming task, which I’m sure many of us have done one time or another. Makes you nervous to think about, doesn’t it? As soon as you know you’ll be making a cross-country move, start your planning immediately. Don’t procrastinate like you probably did with a term paper or two in college. Get everything you need to get done as soon as you can, and then if you think of anything near the last minute that needs to be done, you’ll have many of the other tasks out of the way at that point. Moving cross-country is different for families, as opposed to an individual mover. Because of this, it’s important everyone in your family knows what’s going on with the transition. In conclusion of this blogpost, I’ll leave you with the last important piece of advice: stay calm. Yes, there’s a lot you have to get done when prepping for a cross-country move, but losing your sanity isn’t one of them. As long as you give yourself enough time for the task and have a clear idea of what needs to get done before you’re ready to drive off, you’re sure to have a smooth transition as you make your travels to your new home. We’ve given you advice in the past about what to do when buying a home, and we hope you put that advice to excellent use since then. However, that was when we were dealing with homes that were being sold by people who resided in them before you started looking. Now, we will be focusing on brand new homes that haven’t yet had owners. Note – This article deals with new-construction homes that are built as part of a housing development that has similar homes, rather than focusing on someone purchasing a plot of land and constructing their own home with an independent contractor. When looking into purchasing a newly constructed home, you have to realize that some of the homes in the development may not be completed as quickly as others. Because of this, you may not have neighbors right away; but, more importantly, you should realize you’ll be living in the middle of the construction process as the rest of the development gets built. Keep in mind the construction will be during the day, so there won’t be much noise to contend with if you’re out of the house at that time. But, if you think you or someone else in your household will be home during the day and won’t be able to contend with the noise, you may want to wait until near the end of the construction process to look for a home in that development. However, there’s the possibility of receiving a better deal from the builder if you buy early into the construction phase, so if you’re able to handle a few drawbacks, you may want to go with this option. When you’re preparing to purchase a newly constructed house or unit, there’s a high possibility you won’t get to see the actual property, but rather a prototype or model that has a similar floor plan to the home or unit you plan on buying. You have to realize that what you’re seeing may not be 100 percent of what the finished property will look like. Designers and developers often use techniques to make the model home look bigger than it will turn out to be, so go into your search knowing the finished homes may be a little smaller than what you saw in the model. Knowing this, you will have a better idea of what you will be able to fit in your house, and you won’t have to worry about lugging furniture into your home, and then realizing there isn’t enough space for it. When the development is near completion, the builder will most likely put the model home on the market. If you want to wait until the end of construction to purchase a home, this will be the one to go for. Because this home served as the model that was showed to entice potential buyers, the property will already be outfitted with excellent features and upgrades, and you know the property’s size will meet your original expectations. In the end, I’m sure these factors will make waiting until the end of construction very worth it, if you decide to do so. Buyers also should decide whether or not they want to be involved with the interior choices of their potential new home, while also considering the timeframe in which they want to move into their house. You also must take a look at the surrounding homes and neighborhoods. When choosing a home in a new development, you have the opportunity to pick the lot and location for your property; but, before you do so, you may want to take a few minutes to imagine what the rest of the neighborhood will look like when it’s completed. You have to consider factors such as the view you will have, how close your house will be to your other neighbors, and whether or not the development will be in close proximity to a questionable neighborhood. Use some time to explore the area both inside and outside of the development so you have a clearer vision as to what the space around your home will be like. Although inspecting the area inside the development may be a little difficult if there hasn’t yet been much construction, you should inquire with the developers and designers to see what you can expect. Seeing as national builders want to meet their sales goals as the end of a quarter draws near, they will become more driven with their incentives in order to attract buyers. November and December will also be an excellent time to purchase a new-construction home because many people will be busy with their holiday preparations and won’t be able to focus on the housing market. By the time the spring arrives, a new development will most likely have many potential buyers visiting the homes, hoping to find one they like, so you’ll probably want to beat them to it. If you would like a great gift during the holidays and are eager to buy a home, this is certainly one of the best routes you can go. When considering a new-construction home, there are several important factors you have to think about before you start the buying process. I know you’re picturing how nice it will be to live in a house where no one has ever lived before, but you also have to realize there’s a little more work you have to do to make sure you get what you’re looking for. If you’re willing to put in the extra time to see that your brand new house meets your needs and desires, you will definitely enjoy your home. If you’re buying or selling a house, there are a few things you have to consider when you have a pet. When you’re buying, you have to look into any pet ordinances in the neighborhood you’re considering, and also find a living arrangement that will work best for you and your pet. If you’re selling, you’ll have to stay on top of your cleaning game and make sure your pet makes as few messes as possible. Either way, you’ll get through it. As a side note, this blogpost is mainly aimed at people who have pets such as dogs, cats, rabbits, or any other furry animals you may allow to roam around the house, as opposed to reptilian or amphibious creatures you would keep in a tank most of the time. Pet owners looking to buy a home should check any local ordinances that may be in place regarding pets. A lot of times, areas enforce leash laws and require people to clean up after their pets in pubic places (You should be cleaning up after your pet, whether or not there are laws enforcing it), and there is usually a fine involved if these rules aren’t obeyed. If you belong to a homeowner’s association, there may also be a rule detailing how many pets you can have. If you own two dogs, three cats, a rabbit, and a hedgehog, or any group of pets, you should check to make sure you will be allowed to bring all of them with you. Although you are given more freedom when you have your own house, you should still check to be safe. Looking into this is especially necessary if you are moving into a condo or apartment complex, seeing as you’ll be living in close quarters to other people who may be allergic to pets or annoyed by their sounds. When selling your home as a pet owner, you may be asked by state law to disclose a pet has lived with you. However, as you’re preparing your home for the market, you don’t have to leave any evidence in the staging or photos that you have had an animal in your home, so you should remove any photos of your pets and pet toys and store them away so they’re not within sight of the agent and their potential buyer. Before a photographer comes to take pictures of your home, make sure your pet isn’t there to wander into the background; not only is it a distraction from whatever else is in the photo, but some people might not want to think of a pet having lived in their future home. When buying a home, pay attention to the layout of the house to make sure your pet will be comfortable living in that space. Think about what kind of floors they may be comfortable with, such as carpeted, tile, or wooden. If you and your pet are okay with wooden or tile floors, that may be the best route to go because it will be easier to clean up after your pet. Although you should make sure you and your pet will have enough space indoors, you should check if your pet will have enough fenced-in space outside to run around and get exercise, and also if there’s enough room in the backyard in case you want to include a doghouse. You may also want to see if there are some parks around the area in which you can take your dog for a walk. While selling your home, you don’t want your pet to be in the way of the buyer’s agent and their client when they’re in the house. During this, either take your pet out with you for a walk, or leave them in a cage with a note taped to the outside notifying the agent and buyer to not disturb your pet. Although you love your pet and think they can’t do any wrong, having them interrupt the showing can possibly cost you the sale. Having “strangers” walking through your home can pose the risk of your pet accidentally scratching or biting the agent or buyer, which will land you in trouble. It can be distracting to the agent and buyer if your pet is walking around the house as they’re trying to focus on the house and get a feel for the settings. As you’re looking for a house, there are a few others things you may want to consider. You should try and find a house that isn’t located too close to any busy streets. This way, you decrease the chance of your pet running into traffic, because you never know when the mood will strike for them to burst out the front door in a fit of excitement and run into traffic. To help keep your pet clean and healthy, you will also want to see if there are veterinarians, pet stores, and groomers within the vicinity of your potential new home. Before you have any buyers walk through your home, you should go through every room and see if there are any stains, fur, odors, scratches, or other calling cards your pet may have left behind during their time in the home. As you get closer to your home being shown to potential buyers, you may want to limit the rooms your pet has access to so you have less to maintain and clean up. Being a pet owner who’s buying or selling a house, you must take your furry pal into consideration. Whether you’re moving in or out of a new home, there are several factors you have to think about when you have a pet. A pet will add a little more work to whichever housing process you go through. But, given how much you love them, I’m sure it will all be worth it when you finish the task. Whether you’re a homeowner looking to sell your home, or a new buyer looking for that place to call home, odds are you have come in contact with your share of real-estate myths. In fact, you may have wished there was a “Myth Busters” type of show that dealt with real estate, to help you separate fact from fiction. While we’re waiting for a show like that to be created, we want to bust some real estate myths based on over 30 years of our experience in the New York and New Jersey real estate industry. Movies and television often propagate the myth that real-estate agents tend to be late for meetings, but this is simply not true. No matter what your profession is, there isn’t any excuse to be late for appointments. If something has come up and an agent knows they may be behind schedule, they will contact you right away to give you a heads-up. Being on time is a sign you take your career seriously, and an agent will convey that to their clients. Agents are committed to giving you the best real-estate experience possible, but if you sense anything different, it might be time to find a new agent. When you’re selling a house, you may have heard you should aim to price your home higher than its market value. In short, this will not work. Not only will this deter potential buyers, but this will undoubtedly force you to reduce your price at some point to get it in line with reality. If you price your home to the market at first, you will get an interested buyer much faster, and your house won’t have to spend more time on the market than it has to. There may still be some negotiating involved, but at least you’ll start engaging with potential buyers earlier and more frequently. Some say there are two rooms in your home that you should renovate before selling, and they are the kitchen and bathroom. While that may seem like an enticing idea at first, the truth is you don’t know what kind of tastes your potential buyers may have. They may walk into your house and dislike the changes you have made, and they may not want to spend money on big renovations to make the kitchen and bathroom fit their vision. In that case, you have just wasted money on renovations that don’t attract to buyers. If your kitchen and baths work, leave them alone and let the potential buyer have the option to fix it up as they see fit. Even if your home is in a nice neighborhood and has an eye-pleasing appearance, that doesn’t mean you can forgo staging it. Staging a home is one of the most important things to do when you place your home on the market. A potential buyer is not just going to look at the exterior; they’ll want to walk through the house and envision themselves in those surroundings. If you don’t stage the house to make it look its best, potential buyers won’t be able to get a proper feel for that environment. Take some time to look around your house to see if there’s anything to clean or improve upon before your agent photographs the house. You want buyers to experience the best your home has to offer. Just like ghost stories told around a campfire, you shouldn’t believe in real-estate myths. The real-estate industry is complex enough to understand without having these fallacies thrown in. What you should do is talk to your agent when searching for the truth about the current real-estate market. Doing so will keep you knowledgeable during the buying and selling processes and will save you a great deal of annoyance. Consider these myths “busted”! To learn more about Better Homes and Gardens Rand Realty, visit and “Like” our Facebook page. You can also follow us on Twitter. It’s hard to believe 2015 is already at a close. But it’s happening, and everyone’s getting ready for the new year and preparing their resolutions. In the real-estate industry, we’re excited for the trends that are predicted to take place in the coming year. This is a business that’s used to big and rapid changes, so we’re looking forward to what the new year has in store for us. As we enter the new year, there are plenty of agents out there who want to help you with any real estate to-dos you may have. There is also going to be a potential increase in affordable single-family housing. Before 2016, builders were working more on higher-priced homes, which didn’t meet the financial criteria of entry-level buyers. However, with a decrease in new-home prices and improving credit access, builders will be focusing more on constructing homes that are more affordable for new homebuyers. If you have a family, this news couldn’t be better, so if you’re looking for a new home in 2016, keep searching for low home prices throughout the year to see if any fit your financial requirements. One source’s prediction says home prices may start to decrease, which will influence potential buyers to revisit the market and see if there are any properties they will be able to afford. A lowered price is the best thing a buyer could be given, so 2016 is a year where you’ll want to take advantage of the lowered prices and search for your dream home. With this, you must keep an eye on the market, and also consult with your agent about their views on the industry. Once you have a better idea of the market’s current state, it will be time to dive in. Although some people believe home prices will lower in 2016, Better Homes and Gardens Rand Realty’s third-quarter market report details that home prices will rise in the new year, therefore creating a seller’s market. Because of these increased prices, this will cause more home sellers to list their properties. Home sellers will want to receive as much money as possible from their property, so they will be eager to place their homes on the market. The real estate industry is more technological than it has ever been before. With smartphones, tablets, computers, and social media, we are given countless options when it comes to exploring potential real-estate investments. It has become difficult to think how we would have managed this in the past without the availability of these digital-age tools. However, despite the tremendous help modern technology provides for those searching for real estate, you can’t forget it’s the human touch that has been in the real-estate industry since the beginning. After all, you’ll be dealing with an agent the entire time, so it’s important to establish a friendly connection with them as you traverse through the ever-changing real estate market. Having someone to speak with who can provide firsthand knowledge of the real estate market is a wonderful service when buying or selling, so you should value the human factor as much as the technological one. Parking has been an important factor for real-estate clients for decades. After all, who wants to buy a house without a proper place to park their car? However, it may be surprising to know parking will be seen as less of a concern among homebuyers in the new year. Lately, it has appeared an increasing number of buyers are forgoing cars and are instead using public transportation, cycling, and ride-sharing apps, such as Über. This is especially understandable for those looking to live in the city, seeing as parking normally costs extra and is rather difficult to find. We will also see a greater solidification of generational buying trends. It has been evident lately that millennials make up a significant portion of current homebuyers, and that doesn’t show any sign of stopping. Nearly two million sales in 2015 involved millennial consumers, which equals about one-third of homebuyers. Despite the attention millennials are receiving in regard to the housing market, it should be noted there are two other demographics that will make an impact in the 2016 housing market: Generation Xers recovering from the financial crisis, and retiring baby-boomers who are looking to downsize. With these three very different generations looking for homes in the new year, we will see a surge in both the buying and selling markets, which will surely make for an interesting and lucrative year in the real estate industry. A new year includes new beginnings, so whether you’re planning on buying or selling a home, these are a few trends you’ll want to keep track of. The start of a new year is a perfect time to be optimistic, so let that optimism carry you throughout the year as you work to accomplish any real estate goals you may have. With that being said, I wish you all a wonderful and prosperous 2016!